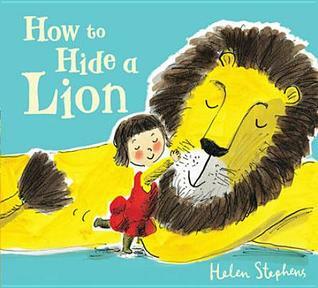 Where can a very small girl hide a very large lion? It's not easy, but Iris has to do her best. After all, mums and dads can be funny about having a lion in the house. But can Iris hide her lion for ever? This was a sweet picture book with a nice message to not judge someone based on stereotypes. Stephens’ illustrations appear to be watercolor, which gives the book a gentle feel to go along with the message. I was impressed not only by Stephens’ ability to bring an important message to children in a way they can understand, but also by the artwork, which included people of different skin tones, and one woman who was in a wheelchair in the crowd scene at the end. The book worked coherently to send its message, but was also very kid-friendly, and reminded me once again of the Little Golden Books I read as a child.